April 2, 2015 -- Progress Thailand South of Thailand's capital of Bangkok in the province of Phetchaburi lies the sub-district of Pa Deng. 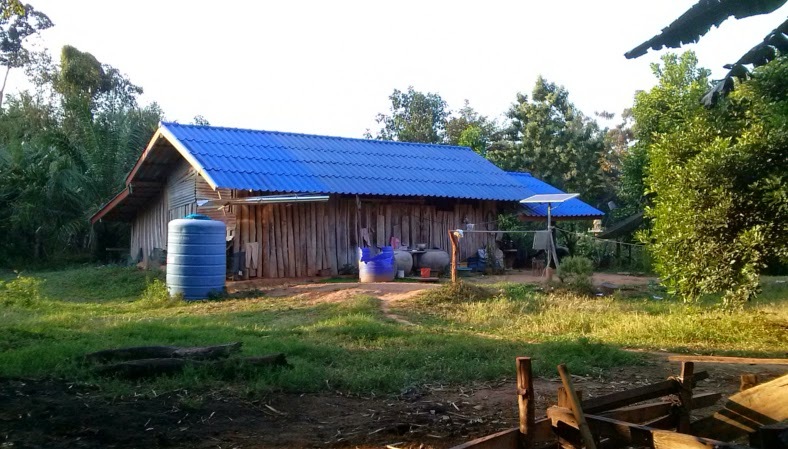 Tucked away among rugged hills, the communities here are so remote, they lack access to Thailand's otherwise modern telecommunications networks, the national power grid, and even municipal water. Something as simple as a single solar panel giving residents lighting and use of a water pump can make a big difference in the lives of those otherwise disconnected from the national power grid. The people of Pa Deng are engaged in farming. They are not starving nor homeless. However, many of the modern conveniences we take for granted are missing from their daily lives. For children in these communities, that can mean lacking adequate lighting at home to do their homework in the evening after returning from school. The myriad of free resources online are inaccessible to Pa Deng's people because they have neither the electricity to power computers, nor a signal to connect to the Internet with. This means in a world increasingly built upon technology, the people here stand to be left behind. Neglected for years and with little prospect of receiving outside help, the people of Pa Deng have taken it upon themselves to catch up. A team under what is called the "Pa Deng Model" has implemented a community-wide alternative energy program. More than merely handing out solar panels and batteries, the project includes training villagers to take ownership of both the systems and the means to maintain and upgrade them. The community-driven Pa Deng Model training camp offers a 3 day course teaching the basics behind solar power and biogas use, then gives attendees hands-on practice designing and setting up systems. The hope is that they bring these skills back with them to their home provinces and replicate the success Pa Deng has had. Any money made during the courses goes into building and maintaining Pa Deng's local solar powered electrical grid. In addition to literally building a localized power grid, the people of Pa Deng are building a human network to help maintain and improve it. Everyone in the community, from children to the elderly are becoming experts in solar powered electrical systems. The Pa Deng Model has even established a training camp fully powered by alternative energy, including solar panels and biogas. 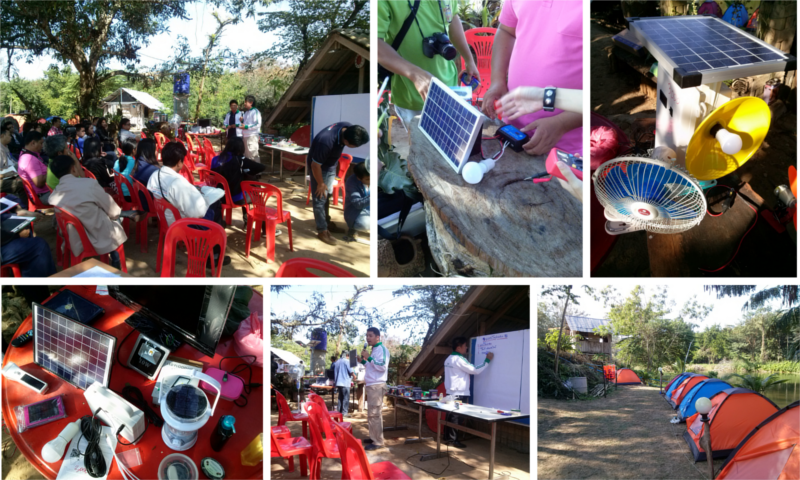 The camp invites people from all over Thailand to come and see first hand alternative energy solutions put into practice. Attendees also get hands on experience designing, setting up, and maintaining solar, biogas, and even irrigation projects (powered by solar panels) both at the camp itself and throughout the villages the camp's team help support. The money raised at these camps and through other fundraising activities has enabled over 50 homes to be installed with solar panel systems to provide electricity for water pumps, lighting, and other basic necessities. However, there are approximately 150 more homes that still require help. So now, the team is looking at several options to help move their work forward at a faster pace. One option discussed has been crowdfunding. Tae Jai, for instance, is a Thai-based crowdfunding website that focuses mainly on community projects. The practical nature of the Pa Deng Model's project is perfect for a crowdfunding campaign. The costs are transparent and there are talks of an award system for donors willing to sponsor a whole household which could include a gift basket containing produce grown throughout the community, a picture of the solar system after it is installed, and a thank you certificate. Crowdfunding, and for this project in particular, differs from traditional models of funding local development. Charities that seek to collect money and hand out items runs in contrast to the old axiom of helping people help themselves. Tax collection is done by massively centralized bureaucracies within which much is lost under just the weight of administration itself. Even those dedicated to helping communities find it difficult to work through the paperwork modern bureaucracy often requires. Also, unlike taxes, with crowdfunding, people can pick precisely where their money goes. The advent and success of crowdfunding in and of itself proves that people are willing to give voluntarily toward well defined, equitable projects and ideas. Crowdfunding takes the best of both traditional models, and adds in a decentralized twist. The Pa Deng Model team is a professional and demonstrably capable group of individuals, running a project everyone is invited to see first-hand and even contribute to. They are dealing in technological solutions, generally solar powered systems, with set costs anyone can look up. The problem is small enough to be easily understood by anyone, and so is the solution. 150 houses without power, 150 solar power systems needed to bring them electricity, added to the 50 already up and running. Camp attendees help the Pa Deng Model team install a solar powered water pump, an irrigation line, and a water storage tank at a home in the Pa Deng sub-district. 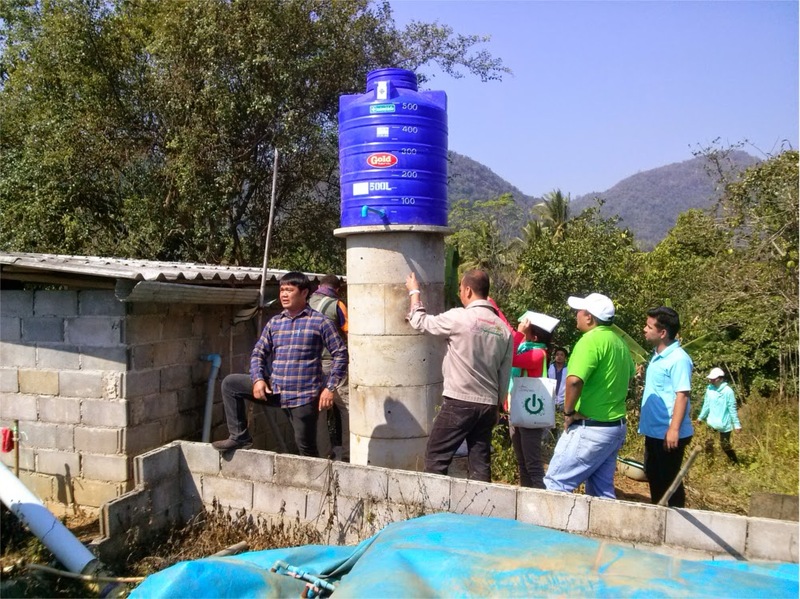 The training camp often gives attendees hands-on experience helping implement real-world projects either at the camp itself (which is fully solar and biogas powered) or at one of the many homes the project has helped bring electricity to. Using crowdfunding to develop Pa Deng's infrastructure could set a precedent where local development projects elsewhere seek to be equally transparent, simple in defining both the problem and the solution, and pragmatically and permanently solve the problem with a technical solution. Thus the often abstract concept of "local development" becomes clearly defined as "building a local solar powered electricity grid," or "installing x-number of solar powered water pumps and water storage tanks." We are not sure if or when there will be a Pa Deng Model crowdfunding campaign. But if there was one, would you be interested? For your own local community, what clearly defined problems and solutions do you think crowdfunding might be useful in financing and sorting out? What rewards could you give donors?